Q. 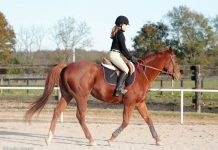 At a recent show, both the judge and my trainer said I didn’t place well because my young, green horse swapped his leads in the lines and at the base of most of the jumps. Why would my horse have this habit? How do I correct it? A. For a horse that changes leads this much, I would first check with your veterinarian to make sure he is not having soundness problems or perhaps hock issues. 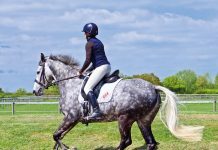 If you have eliminated any physical problems, make sure that as the rider you are staying straight in the line and at the jump. To practice staying straight, lay down a series of cones or rails that will create a straight channel between two jumps that are about 58 feet apart (four strides). The cones or rails should create a straight path about 6 feet wide. When you and your horse are comfortable, you could narrow the “channel” for 4 feet wide, and then slowly take away these aids. In addition, have a well-defined point to look toward, perhaps a red flag during this exercise. Do not overly practice lead changes, especially on the diagonal. 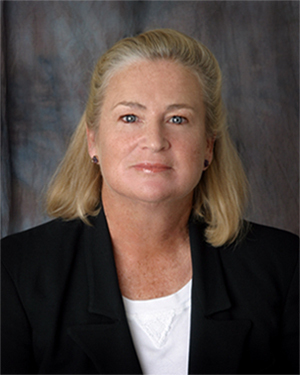 Fran Dotoli is a recognized United States Equestrian Federation judge and clinician. She serves on the Licensed Officials Education and Special Projects committees for the United States Hunter Jumper Association. 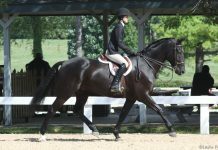 Dotoli has successfully trained equitation and hunter champions. She and her husband Joe owned and operated Young Entry Stable in Medfield and then Hamilton, Mass. ; next, they managed Ox Ridge Hunt Club in Darien, Conn. They currently reside in North Her, Vt. Dotoli judges and teaches clinics across the country. Visit her website at http://franandjoedotoli.com. What are your feeling on draw reins? Do you find them a useful training tool, or harmful to the horse. My horse is a spirted tobiano mare. I am trying to teach her to jump,but she always refuses to jump even really small jumps. Can you please answer my question in 10 minutes.